Imagine being able to eat in the wilderness all year through. 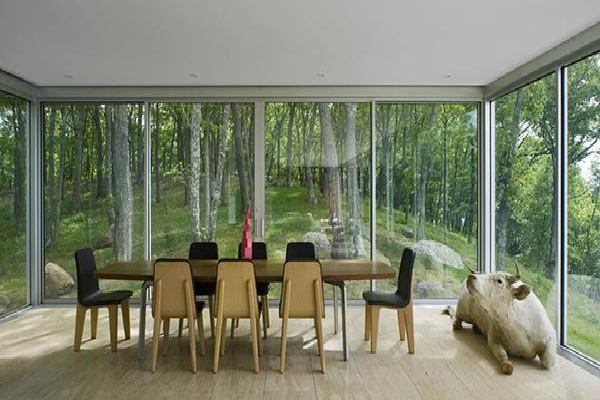 This charming dining room feels as if it forms part of the forest complete with wood floor and animal accessory. Offering both inspiring views and first class comfort any one would enjoy this type of luxury living.